Calgary Massage Parlors | Have You Heard of Ancient Thai Massage? Thai massage at the Calgary massage parlors - find out about traditional manual therapy below. When talking about this specialized treatment, some people will say "Buntautuk style", "northern-style Thai massage", or "Thai yoga massage". They will often combine these phrases with adjectives such as medical, hospital, classical or bodywork. But it's offically known as Nuat phaen boran. Why bother? This is serious business. Northern-style techniques combine massage with stretching and yoga positions, while southern-style depends more on pressure points. The basic technique seems to rely on a certain rhythm. What good does it do for you? Thai massage uses the gentle pressure on your so-called energy lines while gentle stretching and manipulation relax your entire body so you feel calm deep within. Understandably, it carries with some psychological benefits as well. There's a lot more to it than meets the eye though, as the therapist traces the so-called Sen Energy pathways with his special pattern of motion. If he's really good, he may bring his feet in for part of the action, and not just to walk on the patient's back. He can use them to fixate or apply additional massage. Sounds like fun. And what's more? After getting your fingers, toes, or ears stretched and various joints cracked, you may end up feeling like a freshly weeded garden. Or even better after a couple hours of this. So, which massage facilities in Calgary offer services like this? We have relatively few practitioners of this art here, but you might try these ones on this map. Most of them are centrally located but you can find one in most areas of the city. These places should provide you the usual (legitimate) massage benefits and then some. Give it a try sometime. 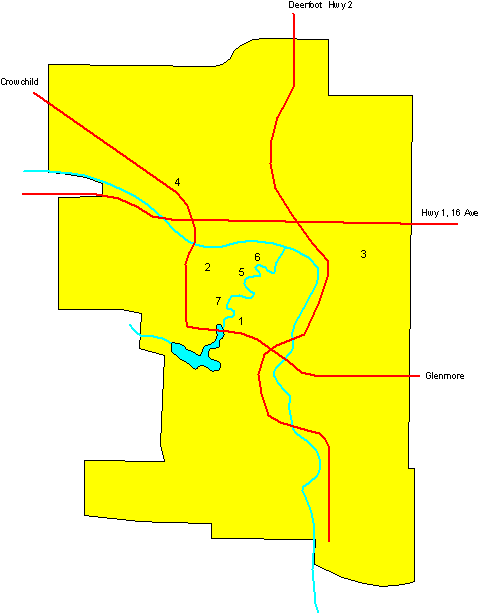 Go back from Calgary Massage Parlors to the Calgary Downtown Map web page, or visit the Calgary City Maps homepage.